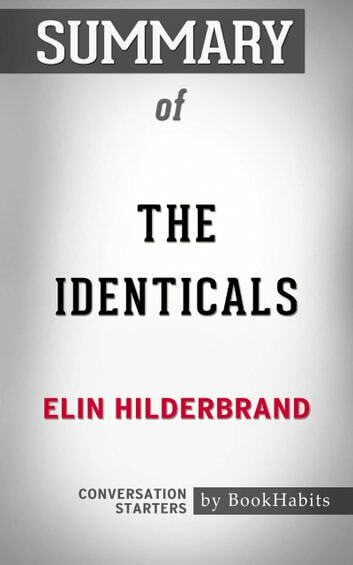 In Elin Hilderbrand's The Identicals, Harper and Tabitha Frost are identical twin sisters separated by their parent's divorce. Harper lives on Martha's Vineyard with their father. Tabitha lives on Nantucket with their mother. Harper is laid-back, while Tabitha is more serious. The twins have not had a relationship with each other in over a decade. When one moment changes their lives, the twins switch places in an effort to save what is left of their family. Harper and Tabitha must decide whether or not they will go forward and repair their relationship or remain separated. 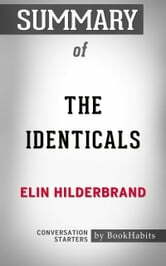 The Identicals is the latest novel release from author Elin Hilderbrand. It was a bestseller for The New York Times and USA Today in 2017. Disclaimer: This book you are about to enjoy is an independent companion resource of the original book, enhancing your experience*. * If you have not yet purchased a copy of the original book, please do before purchasing these unofficial Conversation Starters.